Editor’s note: IonE’s nearly 70 resident fellows — faculty with appointments throughout the University of Minnesota system who come together here to share ideas, inspiration and innovation across disciplinary boundaries — are among the shining stars of IonE’s signature approach to addressing global grand challenges. Over the course of the next year, this series will introduce our diverse resident fellows in their own words. Here we interview IonE resident fellow Tian He, a McKnight Distinguished Land-Grant professor and associate professor in the College of Science and Engineering, Department of Computer Science and Engineering. Let the conversation begin! What environmental challenge concerns you most? 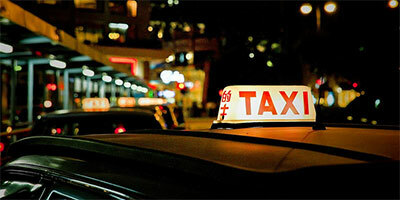 I am interested in utilizing the latest metropolitan-scale taxi networks for urban pollution monitoring and reduction. Currently, smart vehicles are equipped with sensors such as GPS, accelerometers and gyroscopes. This enables crowd-based sensing, a new technique for gathering information that offers unprecedented flexibility, scale and resolution. Crowd-based sensing has the potential to generate a comprehensive view of phenomena such as urban traffic patterns, real-time city pollution maps and the micro-scale monitoring of land use that is difficult or impossible for previous techniques to produce. It also can offer direct benefits to individuals, such as faster and more fuel efficient commuting. What pivotal experience led you to the work you’re doing today? Tian He is a McKnight Distinguished Land-Grant professor, an associate professor in the College of Science and Engineering and an IonE resident fellow. Our previous work was focusing on how to improve efficiency and reduce the cost of public transportation systems, especially the taxi network. Now I am also interested in improving bike-sharing networks by utilizing human mobility patterns observed through cellular networks. What is your current favorite project? We propose to model behaviors of urban transportation systems with massive multi-modal online feeds and to apply effective local and global cyber-control. Recently we made some progress in this direction. For example, my group has started investigating the Capital BikeShare system in Washington D.C. With the online data feed provided by Arlington County, we found a few key control issues, such as imbalanced bike usage leading to faster bike deterioration (high maintenance cost) and high overhead in rebalancing bikes with trucks. Through a data-driven approach, we were able to identify issues in existing transportation systems and aim to provide solutions for these systems. If you could have a one-on-one conversation with someone you admire but have never met, living or dead, who would it be and why? Albert Einstein. I would like to ask him why he could think dramatically out of the box. What’s the most interesting thing you’re reading now? It is science fiction, The Three-Body Problem. It is a sci-fi story grounded with fascinating laws of physics. In my opinion, no other sci-fi book can compare. Reprinted with permission from the Institute on the Environment. Tian He is a McKnight Distinguished Land-Grant professor, an associate professor in the College of Science and Engineering and an IonE resident fellow. Photo courtesy of Tian He.